Febuxostat is a pharmaceutical drug first discovered by Japanese scientists in 1998, that goes by the trade name Uloric in the US and Adenuric in Europe. Febuxostat first came to market in Europe in 2008 and Takeda Pharmaceutical obtained FDA approval for the US in 2009. It is a drug that inhibits xanthine oxidase, effectively reducing uric acid in the body. Like allopurinol, it is used to treat chronic gout and hyperuricemia. Recent research suggests that febuxostat is more effective compared to allopurinol in the treatment of gout. According to the authors of a study published in Arthritis Research & Therapy “Comparative effectiveness of urate lowering with febuxostat versus allopurinol in gout: analyses from large U.S. managed care cohort, optimal treatment of gout is based on two principles: adequate chronic use of urate-lowering therapies and aiming to achieve target serum urate (sUA) levels and anti-inflammatory therapies for acute flares and anti-inflammatory prophylaxis.” Note that until 2009 since the FDA approved Febuxostat, the only drug utilized for this purpose was allopurinol. In conclusion, the researchers found that more febuxostat users reached uric acid target levels, and this happened more quickly than with allopurinol. Up until now febuxostat is recommended as a second-line drug for people who cannot use allopurinol cause it causes side effects for them. And for gout sufferers who also suffer from renal disease and very high uric acid levels, febuxostat is more effective in regularizing uric acid levels. Research continues to be conducted into the long term effects of febuxostat around the world. I will keep you posted as new information arises. Make sure to subscribe to my Facebook, Twitter and Google Plus accounts, where I report my gout news updates. Febuxostat is taken in tablet form with water, once daily with or without food. Febuxostat is available in 80 mg and 120 mg strength tablets. Your doctor will usually start you at 80 mg daily and only increase it to 120 mg if you haven’t reached targeted uric acid levels. 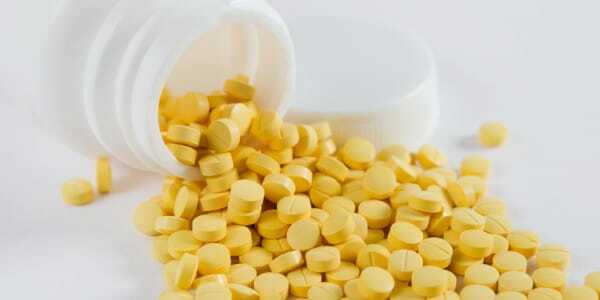 Febuxostat usually lowers uric acid levels within a few weeks time. The side effects associated with febuxostat include nausea, diarrhea, arthralgia, headache, increased hepatic serum enzyme levels and rash. For those wanting to learn more about febuxostat, I’ve linked to this extensive Medscape article for you to review. If you are on febuxostat, I’d like to hear from you. Leave a comment below! The famous 7 minute workout for gout sufferers? My name is Faozan Rizal, I am gout sufferer for at least 4 years, I downloaded your book already but as cinematographer/ cameraman, I have to deal with in location catering food so my gout diet was broke. I am in Berlin now and I have an attack when I am in the flight so 18 hours I am in so much pain in the plane. Here I just took Ibuprofen but it’s been 3 weeks until I meet the doctor here and he gave me febuxostat. I want to ask you something, is it taking febuxostat worsening the attack? next Friday is my 4th weeks and I really bored to be in pain and can not move my knee. I eat cherry and strict vegetarian and Gout diet as in you book now since 3 weeks ago but still can not help the pain until now. Have you ever felt that the pain is really like in the join then move to muscle? I try took cortisone once and help only a while, I forget to say that I can not bend my knees and the doctor said because of the crystals…is it true? Febuxostat will only help take the edge off, lower the pain so you are more mobile but it sounds like you are suffering a lot, you will need to visit your doctor and most likely will prescribe you Colchicine to get rid of the pain and inflammation. I have been on Febuxostat for a month and a half and am in the midst of a 2 week gout attack. Prior to taking the medication, my uric acid was 8- 10 mg/dL and I had (have) TOPHI on my big toe. I have a uric acid meter at home that shows uric acid level in my blood is now below 3 mg/dL. Can you tell me why I am getting a gout attack? I thought they only occurred when uric acid was high. I am confused. Thank you. You can get a gout attack if there is a wild swing in your uric acid level, which seems to be the case here but don’t take my word for it, check it out with your doctor. For example, many gout sufferers will get a gout attack when losing weight too quickly but if you suffer from tophi, that means your gout is on the extreme range. I hope you feel better Donald soon! I started Febuxostat 80mg only 4 days back supplemented for the next 3 months with Colchicine twice daily. I was suffering from gout when I started it, but my gout flare up over the last 2-3 years had become more frequent to almost once in a week or two. It has always been on the feet and most often on around toe joints. Colchicine with NSAID for 3 days after onset would clear it but was told that it is important to be proactive and prevent it with a continuous dose of the Febuxostat. Creatinine levels were checked. Have to wait and see over the next couple of weeks to know if the gout attacks happen, especially after resume 3 times a week yoga. link between border line high HBA1C and Uric acid, which has been 350-375 the last couple of time it was tested over the years. I am within healthy weight range, have always eaten ‘healthy’ and been ‘active’, but the HBA1C has not gotten a lot better, but was told it may be linked to gout attacks. From now on I will controlling my dessert intake to see if it helps when blood test is repeated in 3 months. I am not so much willing to make big dietary changes that would impact the family dynamics. Also hope Creatinine kidney function does not change much due to Febuxostat. Any further insight into my diagnosis and managing of gout attacks would help my initiative to find a long term plan. A podiatrist should be able to guide to a custom made shoe insole for your feet! Liam,I have been taking this for two months but it seems not working for me. The pain just transfers from one side to another. I can no longer work because of this. For How long did you take this and when did the pain and inflammation finally surpass? Hi. Can i ask question.. Im with suffering gout. Almost 2mos it attacks on different body parts after each attack it transfers from one side to another.. Im taking febuxostat for 2mons. Yet nothing happen.. And im also taking diet program. Wat should i do?? Can i take steroids so i could get back to work?? Follow your doctor’s advice, I don’t know enough about your health situation to provide you with any recommendations. Ask your doctor about steroids, it helps short term to remove the pain so you can be functional. Would you know if Febuxostat is available in South Africa? I had taken puricos (allopurinol) for 8 months with no success. Chris I wish I could help you but I don’t know why Febuxostat isn’t available there, best to contact the drug maker directly and ask if it’s available anywhere in South Africa. If allopurinol didn’t work, then you must inquire about Febuxostat and eat very healthy, follow my gout dietary tips. I take this. Very thankful for this drug; I coudn’t tolerate allopurinol. I’ve had no gout flare ups once through the initial three months of use of Febuxostat. Uric acid levels now normal.